Interior Secretary Ryan Zinke today appointed P. Daniel Smith as the new acting director of the National Park Service, replacing Mike Reynolds, who's taking over as superintendent of Yosemite National Park. Smith, the former superintendent of Colonial National Historical Park in Virginia, rejoined the Park Service from retirement just two weeks ago as deputy director. Today's promotion came as Reynolds had to step aside as acting chief, with that term limited to 300 days (Greenwire, Jan. 5). 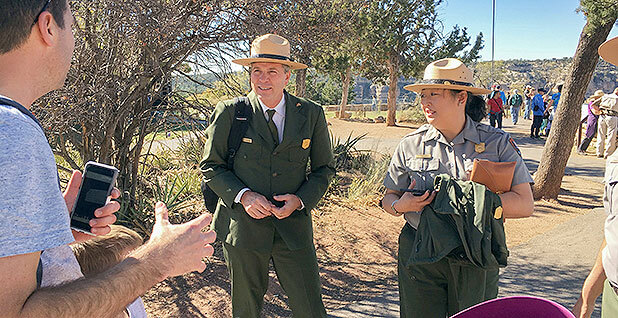 "Personally, I felt like this was the right time for me to come back and to contribute to the extraordinary mission of the National Park Service," Smith said in a message to Park Service employees this morning. Zinke made the moves as NPS awaits a permanent leader. President Trump has yet to nominate a director. A Vietnam War veteran who was born in Maine, Smith served as the Colonial superintendent from 2004 to his retirement in 2015. While there, he managed a 23-mile parkway and three historic sites, including the first permanent British colony at Jamestown, Va., and the site of the 1781 Revolutionary War victory at Yorktown, Va.
"Dan has a strong record of leadership in the National Park Service both in Washington and on the front lines as a superintendent of a park that tells the stories of some of the most consequential moments in American history," Zinke said. "I can think of no one better equipped to help lead our efforts to ensure that the National Park Service is on firm footing to preserve and protect the most spectacular places in the United States for future generations." In 2004, Smith worked as a special assistant to then-National Park Service Director Fran Mainella, when he ran into trouble by helping Washington Redskins owner Daniel Snyder cut down trees on a hillside near his property. Snyder wanted more than 130 trees removed to improve his view of the Potomac River. 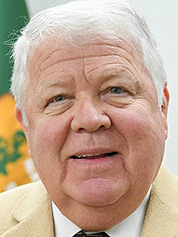 Smith helped Snyder get rid of the trees on a Park Service-protected easement between his Potomac property and the Chesapeake and Ohio Canal, according to a report by the Interior Department inspector general's office (Greenwire, May 22, 2006). The IG report said Smith "unduly influenced" deliberations by officials at the Chesapeake & Ohio Canal National Historical Park "by inserting himself in the process through personal communications" with Snyder, Snyder's attorneys and park officials. As the new acting director, Smith will oversee 417 park sites and an agency with a budget of nearly $3 billion and more than 20,000 employees. In his email to staff, Smith said he was prepared "to support your great work." "I realize I am writing to you just after you and your colleagues are returning from a brief government shutdown," he said. "I was deeply impressed by the hard work and dedication of staff in Washington, regional offices and parks to prepare for and manage during the shutdown." Reynolds will begin his new assignment in California in early March. He had served as acting director of the Park Service since Jan. 3 of last year, when he replaced Jonathan Jarvis, President Obama's parks director for eight years. Reynolds is a 31-year NPS veteran who's no stranger to Yosemite: He worked at the park as a resource manager, planner and division chief and recalled how his grandparents served as 40-year concession employees at Yosemite. "When I think about my family's history in Yosemite, this feels like coming home — it's an incredible honor that I take very seriously," Reynolds said. Reynolds will replace Chip Jenkins, Yosemite's acting superintendent. Zinke said Reynolds "did an incredible job stewarding our parks through 2017." "His leadership helping me combat sexual harassment and discrimination in the service as well as his big-thinking ideas to address the maintenance backlog is very much appreciated," Zinke said.